The lovely people at Montagne Jeunesse recently got in touch and asked if we wanted to try out their new Travel Pamper Packs. 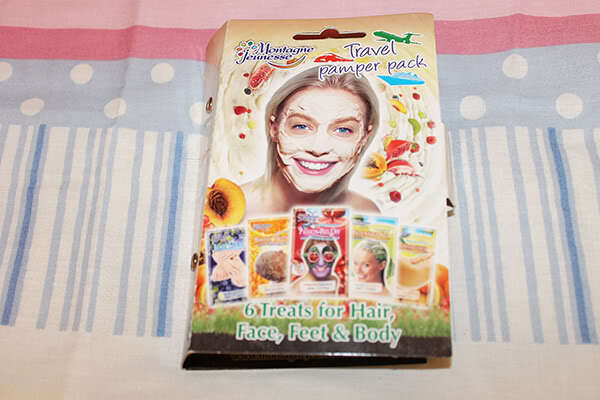 I’m sure most of you are familiar with their fabulous face masques but I wasn't aware they made more products so I was happy to try out the travel pamper pack. When I first heard about the pamper pack I was expecting lots of face masks but was pleasantly surprised to find a great mix of products. This pack contains 6 treats for your hair, face, feet and body so it definitely covers all areas! It’s a really great size to pop into your hand luggage too if you’re jetting off on a weekend break for the summer. I also love that you can pop out any of the sachets if you’d rather take a couple out of the packaging. The set contains 2 Orange scented Body Washes, 1 Blueberry and Spearmint Foot Cooler, 1 Pomegranate and Passion Flower Peel Off Masque, 1 Apricot and Mango Skin Smoother Scrub and 1 Lime Oil and Citrus Hair Masque. 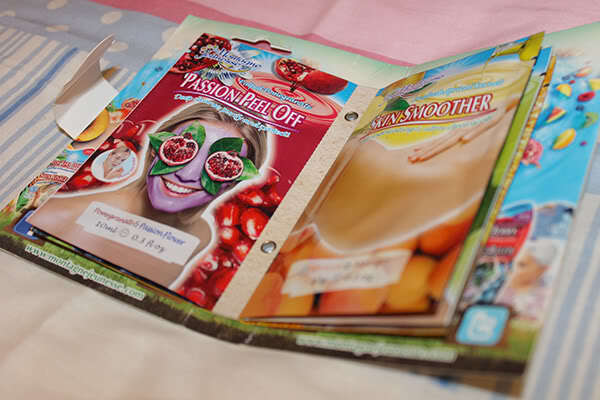 I love all the fruity ingredients which all smell amazing, I was happy to hear they always look to use natural ingredients. It’s also good to point out that Montagne Jeunesse brand do not test on animals and are BUAV approved and suitable for vegetarians which is always a bonus in our books, more and more companies are changing their cruelty free policies lately so it’s lovely to hear a brand who stays true to what they stand for! Montagne is very popular on face washing. They are very good. It is very useful. Looks good and really convenient. Although I am not too sure if these are organic. The Montagne Jeunesse 7th Heaven Organic line - that I know is organic.